This weekend has been much needed. Friday came with joy and relief after spending 12 days straight at school filled with teaching (My class makes me smile everyday. ), edTPA writing (the assessment I have to complete for CUC and Illinois certification), and professional development (Google Summit and training in the Teachers College Reading and Writing Project). Friday evening was spent in fellowship rehearsing beautiful music for Sunday’s church service. On Saturday, a group of 6 of us ventured outside of Hanoi for the morning to Bat Trang, pottery village near the city. We enjoyed peeping into shops and seeing the various steps in the ceramic making process and exploring and making purchases in the pottery market. After our trip, Elizabeth and I enjoyed an evening of badminton (Though I hadn’t played since middle school, I don’t think I did too terribly.) and BBQ. For dinner, we went to a restaurant where you get to grill your own food at the table. Though smokey and hot (the high was 90F), it was fun and delicious. Sunday, Elizabeth, Martha, and I had the opportunity to help lead music in worship with a large ensemble for the Chicago Folk Service. It was a joy to serve, and following a morning of music, we had some of my favorite street food for lunch and stopped at a cafe for a delicious combination of coffee and coconut ice cream. Now, it’s the typical Sunday afternoon and evening of preparing for a week at school. In between it all, I’ve been able to connect with home through Skype and Viber; I’m so thankful for all the ways technology connects me with people around the world. 6 months ago I found out I’d be student teaching in Hanoi. The morning of my 21st birthday, I met with the student teaching coordinator at CUC and received the news that I’d be student teaching at Concordia International School in Hanoi, Vietnam. Following the meeting, I arrived at my morning class, pulled out my laptop, and eagerly looked up the bio of my cooperating teacher. I could hardly contain myself. After a day of celebrations, that night I lay on my top bunk and had a slight panic attack about the reality of packing up my life and heading to the other side of the world for four months. My heart raced as my head tried to wrap itself around the reality of my life to come. The next day, I climbed the stairs up to the third floor of the education building filled with an entire facet of emotions and signed my name on the student teaching documents trying to imagine just what life in Vietnam would be like. I was being sent to Vietnam and acting on a leap of faith. 6 weeks ago I arrived in Hanoi. Getting off the plane, I could not comprehend or imagine what the adventure ahead of me entailed. I didn’t know how to confidently eat with chopsticks, get a cab, maneuver a currency where you spend thousands everyday, or even cross the street. It wasn’t comfortable, and though I’ve learned to do each of those items, I’m still taken out of my comfort zone each day whether it’s in the classroom teaching a new concept or learning more about Vietnamese culture. We’re not called to a comfortable life though, and knowing that gives me peace when I have a mountain of lesson plans and school assignments to climb over everyday. I still can’t comprehend what the rest of my adventure here entails in next couple months, but I do know there’s a beautiful master plan I have no control over, and I’ll be learning all along the way. 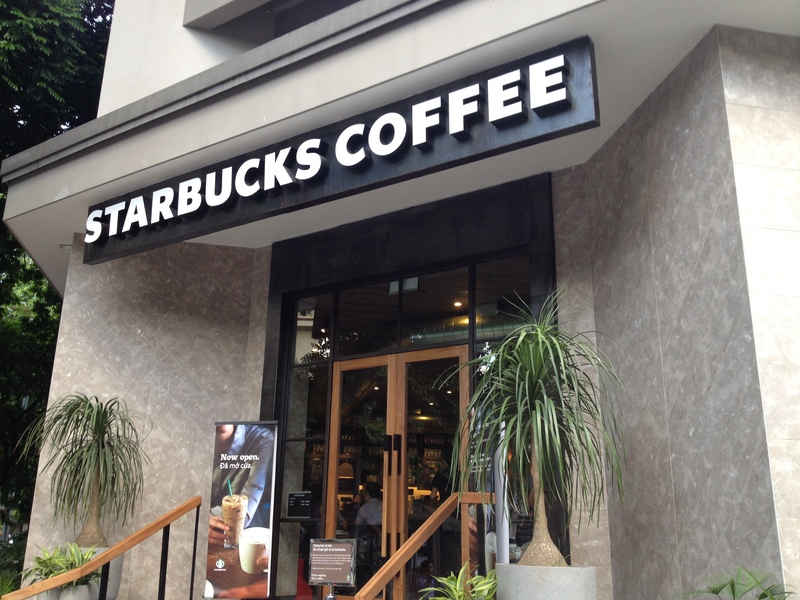 Another week has past, perhaps the busiest yet, and another week begins here in Hanoi. Our weekend has been a little less adventurous, but enjoyable nonetheless. 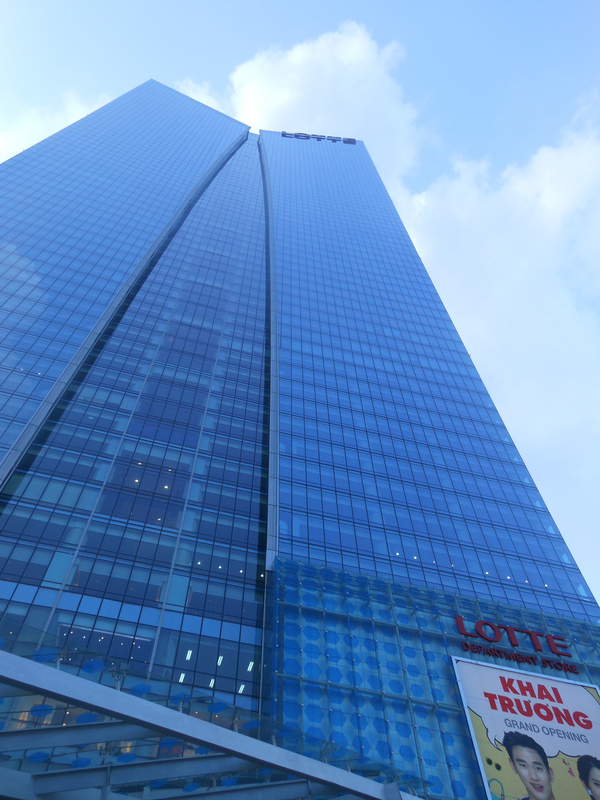 Saturday afternoon, Elizabeth and I ventured out of the apartment and our piles of student teaching work to explore the Lotte Building, a new skyscraper we can see from our window. We spent most of our time exploring its 5 story department story (I ran into one of my students, which was fun), but our favorite discovery was the supermarket in its lower level. As we went down the escalator we were ecstatic to see a grocery store that almost looked like one in the States. In Hanoi, we attend Hanoi International Church and are blessed by the community at this volunteer led congregation. Saturday evening we enjoyed attending a social at a local restaurant with the church community, and this morning (Sunday) Elizabeth, Martha, and I led music in worship for the second time and have been given the nickname “Martha and the Ladies.” It’s a complete joy to worship with people from around the world and diverse backgrounds each Sunday. The rest of my week and weekend has been filled with school and student teaching related tasks, and this coming week will be filled with the same. Each week brings new joys, challenges, and more learning than I can even comprehend. My next task: finishing reading through 4th grade informational writing, which in some cases is rather amusing. Time flies! Elizabeth and I have officially been in Hanoi for a month. As responsibilities at school increase and student teaching requirements from CUC become more intense, we found a little bit of time Saturday afternoon and evening to explore Hanoi more and have some fun. 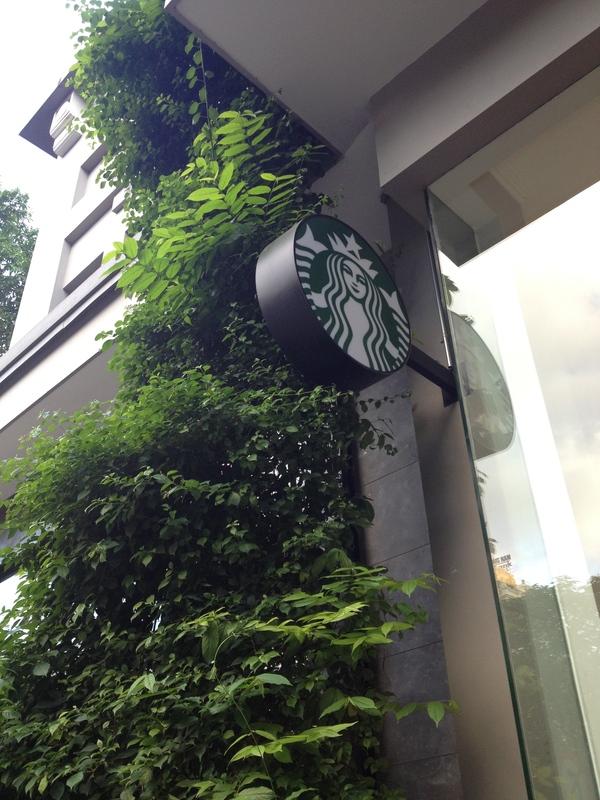 Thanks to a little research on Google Maps before venturing into Hanoi and a handy dandy post-it note with walking directions, Martha, Elizabeth, and I explored three sites on our list of places to visit and found some bonus sites along the way. We took our first stop at St. Joseph’s Cathedral. 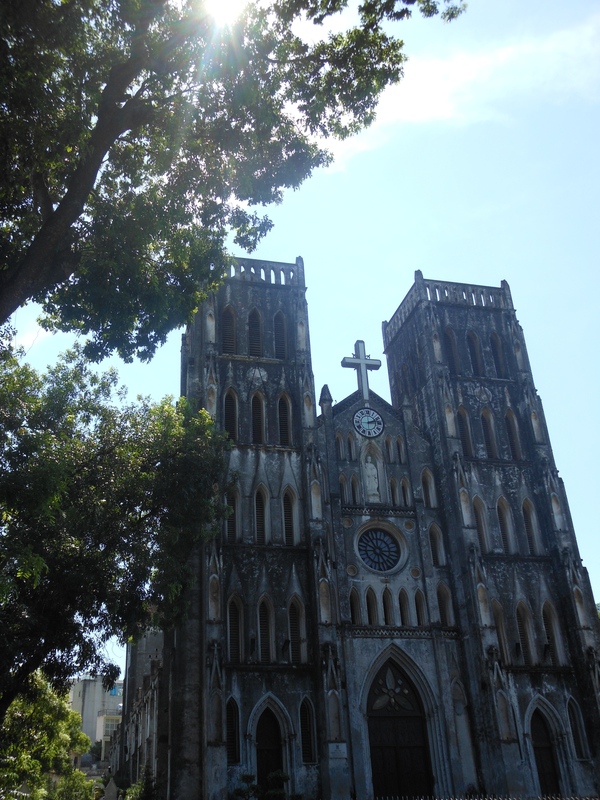 The Neo-Gothic architecture takes the landscape back to French Colonial Vietnam and a step inside brings serenity. Next, we visited the Vietnamese Women’s History Museum. The museum is well done and provides a fascinating glimpse into the history and roles of women in Vietnam. Perhaps my favorite stop of the day was the detour we took for an afternoon snack after the museum: Fanny’s Ice Cream. We’d been told more than once to visit, and now we know why. 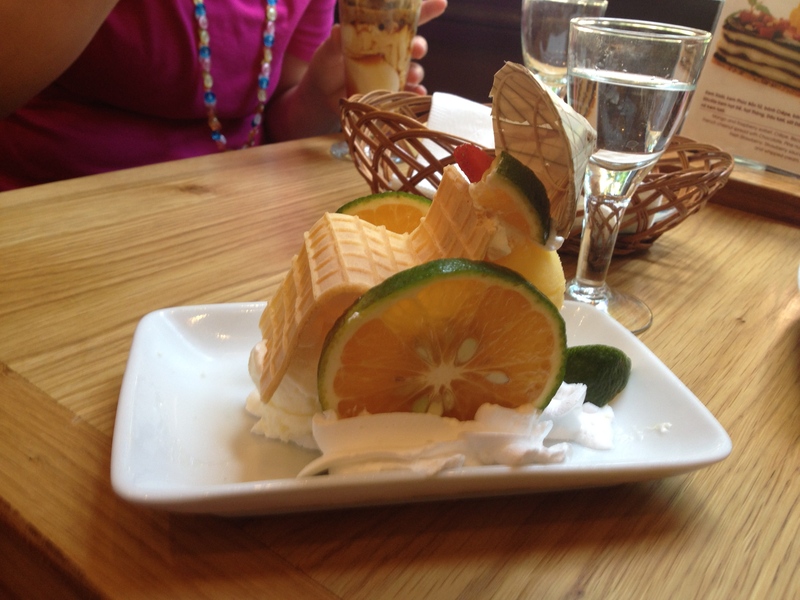 I ordered a Cyclo, which came as a darling little ice cream creation. Martha and Elizabeth laughed at me as I ranted and raved over the coconut ice cream it was made of over and over again. 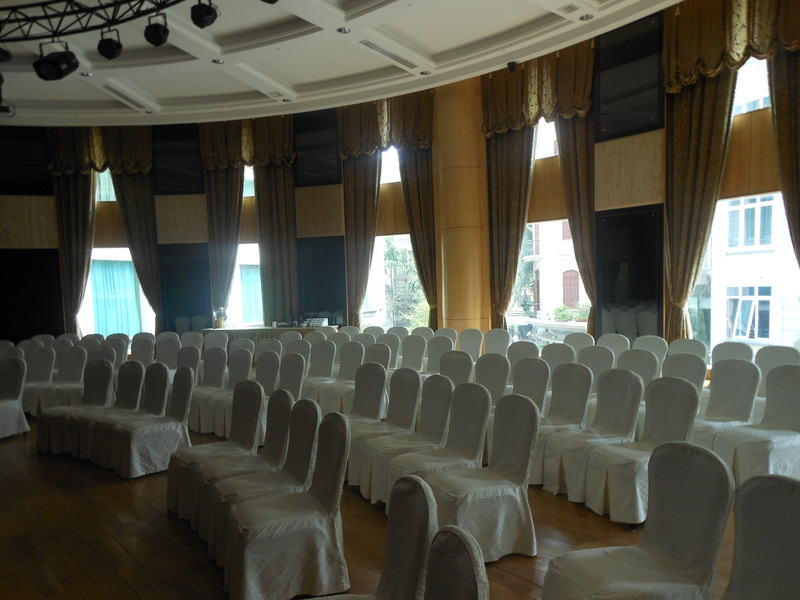 Our final planned destination for the afternoon was Hanoi’s Metropole Hotel. 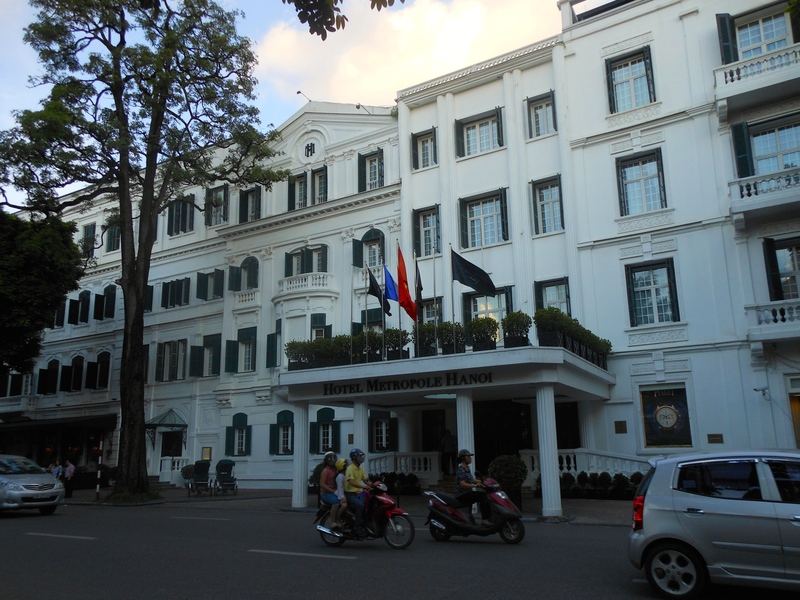 Built in 1901, it is the oldest and premiere hotel in Hanoi. We’d never be able to afford to stay there, but walked through its hotel of history and learned about the many famous guests who’ve stayed there (Brad Pitt, Angelina Jolie, Bill Clinton, and Pete Seeger to name a few). It’s facade makes it seem as if you’re on the streets of Europe instead of Asia. 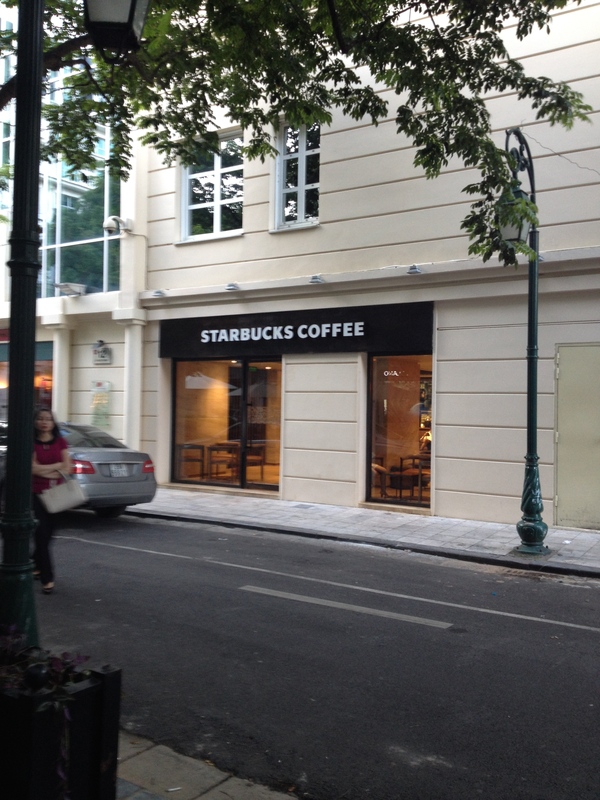 Perhaps we reached our highest level of excitement when we found 2 of the Starbucks in Hanoi during our exploring. It’s feels a bit odd and like a different country when walking in, but most definitely a welcoming sight to the American in each of us. Our day ended making pizzas, playing cards, and drinking tea at Sarah’s (Elizabeth’s cousin) place. Now, after church, lunch, and a trip to the electronic store, I’m settling in for an afternoon and evening of work in the apartment.